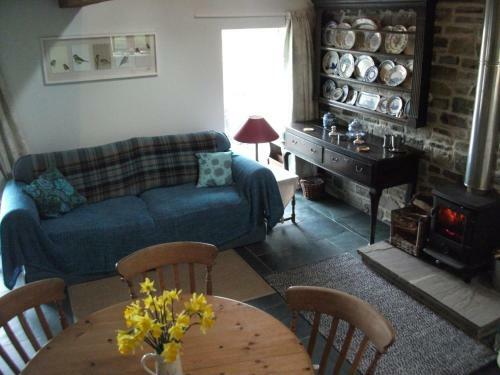 Home Stay at Lledgwial, Llanwrtyd Wells, Powys hotels with instant confirmed online booking. We have Hotels throughout Powys , Wales . Accommodation near all the attractions, places to see and things to do.......You are able to make an instant secure confirmed online booking. We also offer information on Airports, and travel and tourist information. 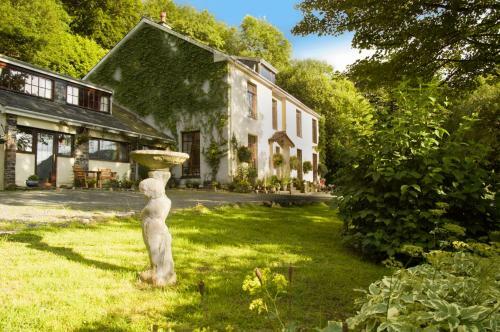 Located less than 5 minutes’ drive from Llanwrtyd Wells, Home Stay at Lledgwial is an 18th century stone barn with immediate access to the picturesque Powys countryside. Amongst popular outdoor activities of the area, guests can enjoy bird watching, stargazing, and wild swimming. 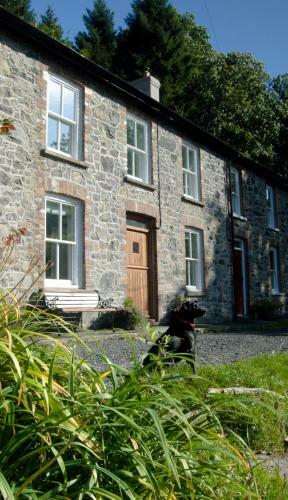 Accredited 4 stars by VisitWales, Home Stay offers a ground floor room with view of the surrounding landscape. 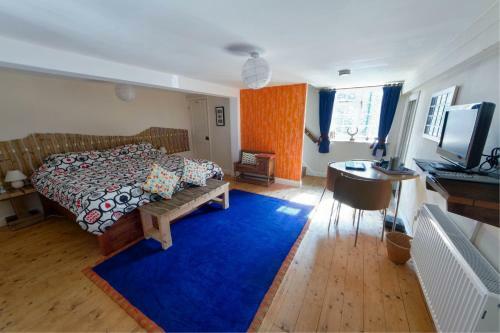 An en suite bathroom, a TV with satellite channels, and tea/coffee making facilities feature in the room. Guests can also enjoy free Wi-Fi and a seating area where they can plan excursions or have a snack. 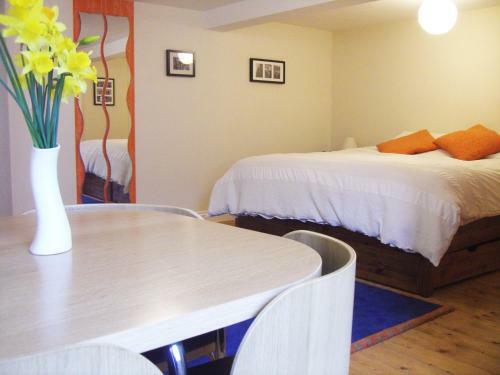 Served in a spacious room with views of Cwm Lletgwial, breakfast features locally sourced ingredients. The menu includes a variety of dishes suitable for vegans, vegetarians, wheat-free food, as well as cooked options. Evening meals and packed lunches can be also arranged. 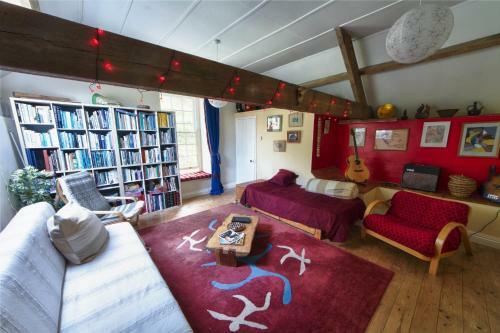 Guests benefit from free parking and cycle storage and can pony trekking, horse riding, mountain biking. A popular route, The Devil’s Staircase, can be reached in half hour drive.